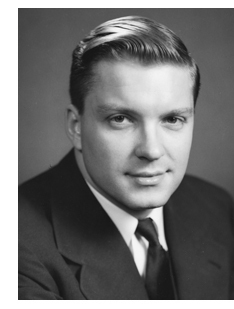 Senator Charles H. Percy, AB’41, made it onto Nixon’s notorious “enemies list.” Percy himself had no enemies list—and neither does his daughter. “I’m still mad at you” was the first thing Sharon Percy Rockefeller said when she met David Axelrod, AB’76, director of the Institute of Politics. 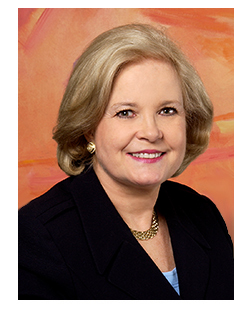 Then she made a $250,000 gift to name the IOP’s summer program for interns in Washington, DC. The Charles H. Percy Summer in Washington Program honors Percy Rockefeller’s father, an Illinois Republican who served three terms in the US Senate (1967–85). Percy was defeated in 1984 by Democrat Paul Simon, whose campaign was spearheaded by Axelrod. Last year more than 80 IOP students participated in the program, which included discussions with political leaders and policy makers, career seminars, and alumni mentoring, as well as visits to Capitol Hill, think tanks, cabinet agencies, and newsrooms. Charles Percy, AB’41, described himself as “fervently moderate.” He repeatedly stood up to President Richard Nixon, rejecting two of his Supreme Court nominees in a row and calling for an independent prosecutor during Watergate. “In today’s polarized political climate, Sen. Percy would be described as a rare breed—an unabashed liberal and skeptic about military spending and war,” the Washington Post wrote after Percy’s death in 2011. Percy attended UChicago on a half-tuition scholarship. He was a well-known campus figure: captain of the water polo team, president of Alpha Delt. An economics major, he also ran a business that organized laundry and food buying for the fraternities. His profit was $10,000 a year—more than $150,000 in today’s money—which made him “the richest boy who ever worked his way through college,” as University president Robert Hutchins quipped. During the summers, Percy worked at Bell & Howell, a manufacturer of movie cameras and projectors. After he graduated in 1941, the company hired him full time. Percy served in the Navy during World War II and then returned to Bell & Howell, rising steadily in the company. Percy married Jeanne Dickerson in 1943. They had three children—Sharon and her twin sister Valerie, and son Roger—before Mrs. Percy died in 1947. Percy married his second wife, Loraine Guyer, in 1950. The couple had two children, Gail and Mark. When Percy became chair of Bell & Howell at age 29, he was the youngest chief executive of a major American corporation. Under his leadership the company prospered. Annual sales totaled $13 million when he took the job; in 1963, when he left to run for Illinois governor, sales were more than $160 million. Late in the campaign the Percy family suffered an unexpected tragedy: daughter Valerie, 21, was murdered by an intruder in their Kenilworth home. (The murder remains unsolved.) Both candidates suspended their campaigns until just before the election, which Percy won decisively. In the Senate Percy took dovish positions on defense spending and the Vietnam War. He refused to fall in line with Nixon, opposing the funding of an antiballistic missile system and Nixon’s conservative choices for Supreme Court justices. In 1973, as Nixon tried to contain the Watergate scandal, Percy called for an independent prosecutor. “A simple and very basic question is at issue,” he said. “Should the executive branch investigate itself? I do not think so.” His actions earned him a spot on the president’s “enemies list.” Some Republicans even urged him to change parties, but Percy said he did not mind being a loner. 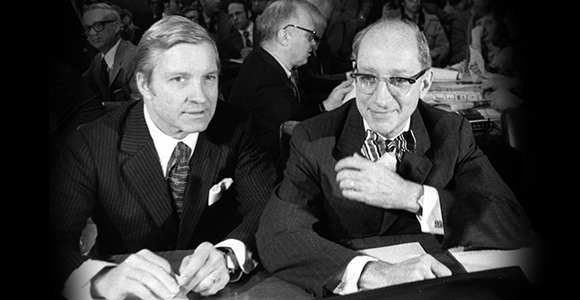 After Ronald Reagan was elected president in 1980, Percy became chair of the Foreign Relations Committee. He continued to oppose excessive partisanship: “I don’t want foreign policy developed just by one party,” he told the Chicago Tribune. In 1984 Percy was defeated by his Democratic challenger, Representative Paul Simon, who won a narrow victory with 50.1 percent of the vote. (The same year, Sharon Percy Rockefeller’s husband, West Virginia Democrat John D. “Jay” Rockefeller IV, was first elected to the Senate.) After leaving office, Percy ran a foreign policy consulting firm in Washington. What are your strongest memories of your father? When my mother passed away in 1947, my father was left to raise three children under age three, while serving as president and CEO of Bell & Howell. Despite an incredibly busy schedule, my father was always there for us. What was his most important political legacy? My father and Senator Hubert Humphrey (D–Minn) created the Alliance to Save Energy. In the early ’70s, he clearly saw the need for a national strategy on energy. My father was very proud of his long tenure on the Senate’s Foreign Relations Committee, where he helped foster a better understanding of international cultures, policies, and economics. One thing that many people may not know: win or lose, the day after every election, my father would show up at El stops in Chicago to thank voters. What would he say about the political situation today? My father had the ability to honor his principles while understanding the need to compromise for the greater good. I know he would be very disheartened by today’s excessively partisan politics and the lack of civil discourse. He would never have used the dispiriting and offensive language that has sadly become characteristic of many of our elected officials. Why did you make this gift in his name? With the aid of a scholarship to the University of Chicago, my father became the first in his family to graduate from college. His education helped him to become an informed thinker and doer, as well as motivating him to choose public service. One of my father’s favorite rituals was to welcome interns to his staff each year. Their enthusiasm and interest in the political system energized and inspired my dad. Because the University was founded by John D. Rockefeller, my husband [Rockefeller’s great-grandson] and I were married in Rockefeller Chapel. Our two families have come full circle. The Charles H. Percy Summer in Washington Program has allowed us to acknowledge my father’s work and provide a wonderful educational opportunity for the students. It was the perfect way to honor my father’s legacy. Photo of Sharon Percy Rockefeller by Cable Risdon.